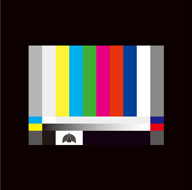 Info: The title refers to the television test pattern (in other words, no programming/off the air; this was Tokyo Jihen’s last album and first mini-album). Each of the five members contributed one song, lyrics and music. Officially translated interview and liner notes. Translation notes:  The Akasaka Prince Hotel (renamed The Grand Prince Hotel Akasaka in 2007) began life in 1930 as the Kitashirakawa Palace, built to be the residence of Yi Un, the last crown prince of Korea. Its location is the Kioichō neighborhood of Tokyo, which took its name from three feudal-era clans with homes there; one home became the site for the palace and later the hotel. It opened as a hotel in 1955 and the modern tower next to the original palace was built in 1982. It was often used by Japanese politicians for meetings and press conferences because it was close to the National Diet buildings. It closed for demolition in March 2011, but after the Great East Japan Earthquake, it housed evacuees from Fukushima prefecture until June 2011.
well (the song named “Karisome Otome (Tameikesannoh ver. )” was a reference to that).